International flight, we offer departures from most major Cities in the USA and Canada. 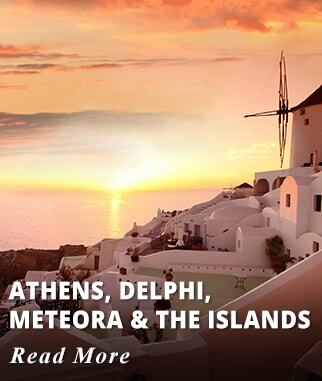 4* Accommodations in Athens, Olympia, Delphi, Kalambaka (Meteora), Package includes breakfast daily and 3 Dinners. 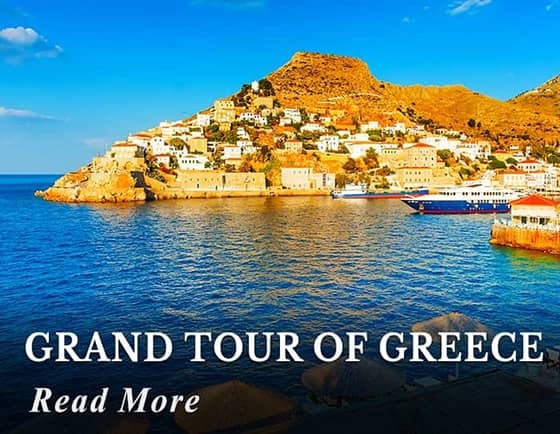 Sightseeing highlights: Athens half day City tour, brief stop by the Corinth Canal, Theatre of Epidaurus, Town of Nafplion, Mycenae/Agammemnon, Archeological sites of Olympia and Delphi, Monasteries of Meteora, and Day Cruise to the Islands of Hydra, Poros and Aegina with lunch included. Our prices include all transfers, entrance fees and all taxes there are no hidden costs. 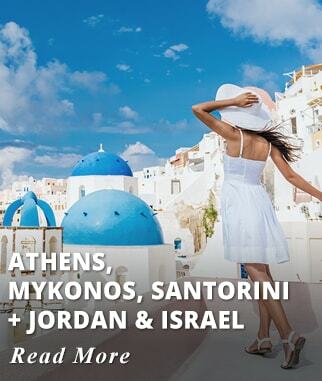 Board your International flight to Athens, we offer departures from most major Cities in the USA and Canada. 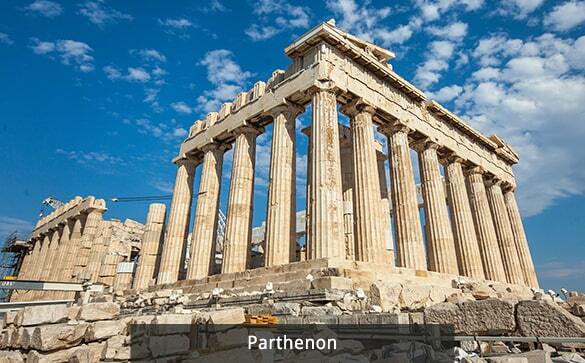 Upon arrival our representative will meet you at Athens airport and transfer you to the hotel. Accommodation: Titania Hotel, Golden Age Hotel, Zafolia Hotel or similar. 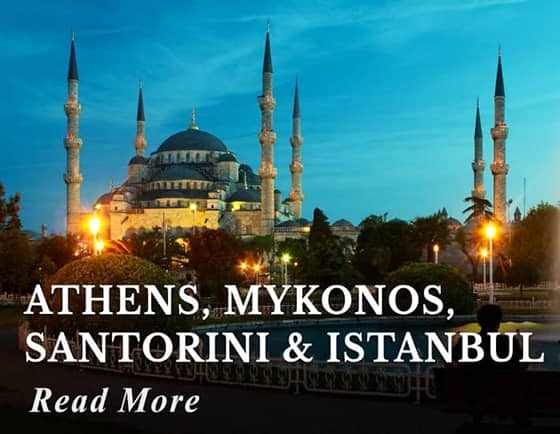 Upgrade at an extra cost to: Athens Plaza, St. George Lycabettus, or Wyndham Grand Hotel. 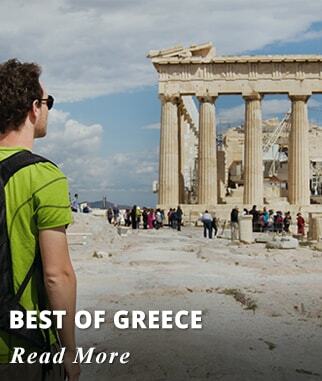 We will begin with a panoramic tour of Athens passing by the most important monuments and landmarks of the city. 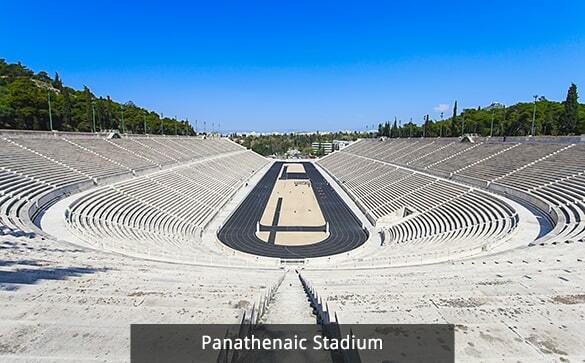 We will marvel the Panathinaikon stadium, pass by the ex Royal Palace and today the Prime Minister's residence, the Temple of Olympian Zeus, Hadrian's Arch, the House of Parliament and the Tomb of the unknown soldier, the National Library, the Old Parliament, and Constitution (Syntagma) Square to arrive at the Acropolis. Next we head for our guided visit to the Acropolis, including the Propylae, the Temple of Athena Nike, the Parthenon, the Erechtheion. Remainder of the day at leisure to explore Plaka, the picturesque old part of the city, and why not, some shopping at Ermou street. 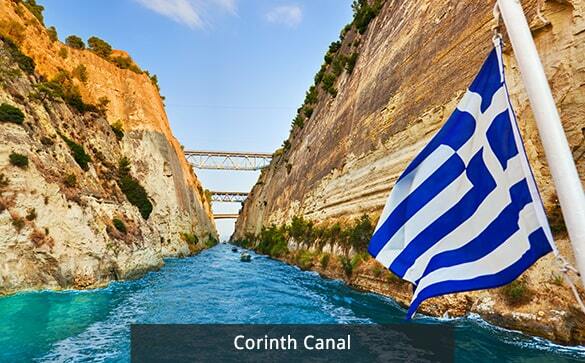 After breakfast, depart Athens and stop briefly to see the Corinth Canal. Continue with a visit to the ancient Theatre of Epidaurus. Continue your drive and stop for a photo opportunity in the town of Nafplion. This picturesque little town, is dominated by the impressive Venetian Palamidi Castle, Admire the narrow little streets with the picturesque and well preserved classical buildings, from here you can also see the famous Bourtzi Island. 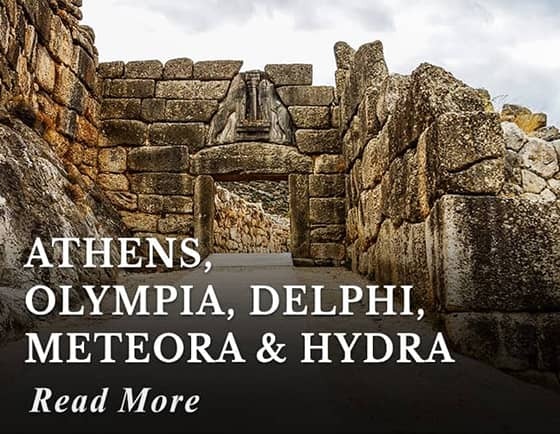 Visit the archaeological site of, Mycenae including the Royal Tomb of Agammemnon with the famous Lion's Gate. Continue across the central Peloponnese to Olympia. Arrive on time for Dinner at the hotel. Accommodation: 4* Hotel Europa Olympia or similar. Activities included today: Travel by road from Athens to Olympia with stops along the way in Epidaurus, Nafplion and Mycenae. 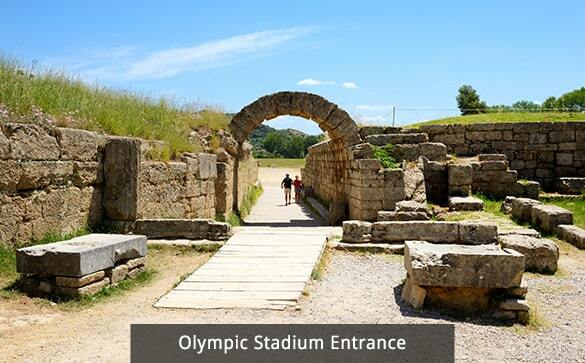 Visit to the original Olympic Stadium and the altar of the Olympic flame. 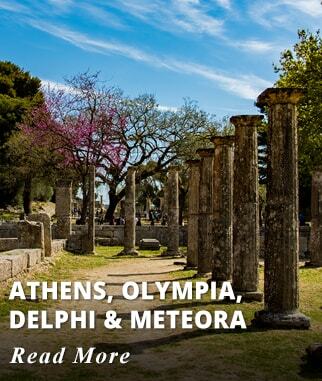 The Temples of Hera and Zeus and the archeological Museum. Continue north and stop briefly at Patras. Then cross the bridge over the Corinthian Bay from Rion to Antirion. Pass the picturesque towns of Nafpaktos and Itea. Arrive to your Delphi Hotel on time for Dinner. Accommodation: 4* Amalia Hotel Delphi or similar. 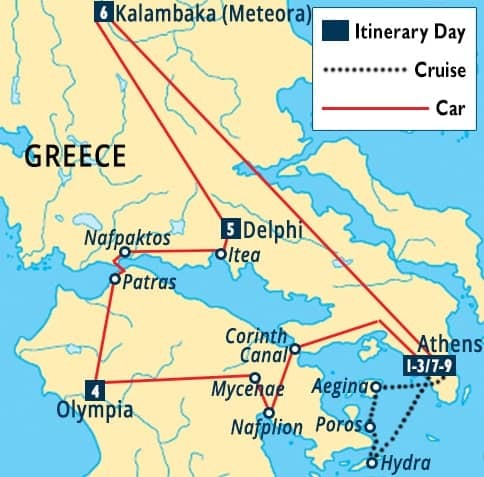 Activities included today: Explore the site of Olympia, Travel by road from Olympia to Delphi, along the way stop in Patras. This morning drive to the slopes of Mount Parnasuss to visit the Archeological Site of Delphi. Later Depart to Kalambaka (Meteora). Arrive to your Kalambaka Hotel on time for dinner. 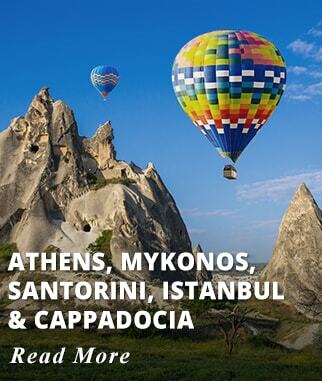 Accommodation: 4* Divani Meteora Hotel. 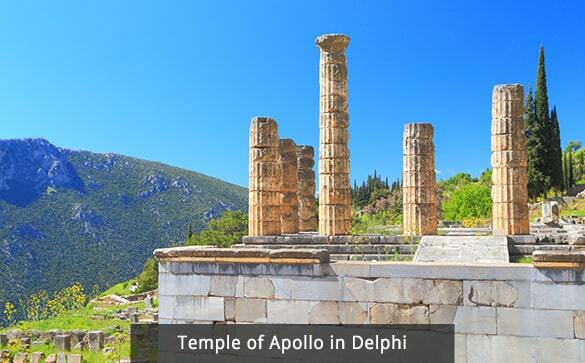 Activities included today: Visit the archeological Site of Delphi, Travel by road from Delphi to Kalambaka. 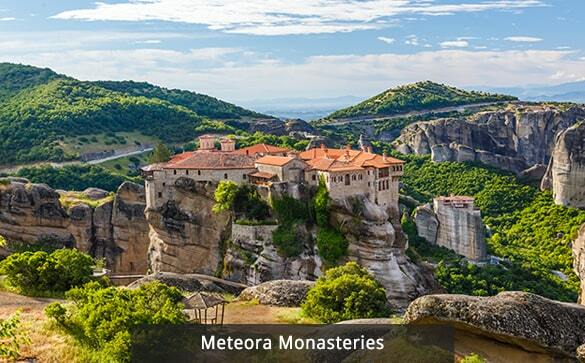 Tour of the one of the most amazing places in the world, the ageless Meteora Monasteries. After your tour drive back to Athens via Trikala and Lamia. 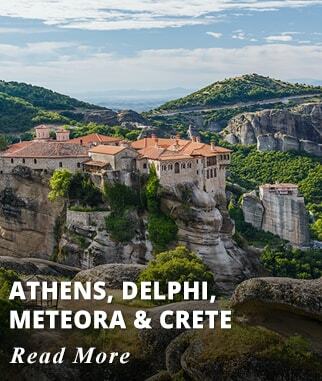 Activities included today: Tour the Meteora Monasteries, Travel by road from Meteora to Athens via Trikala and Lamia. 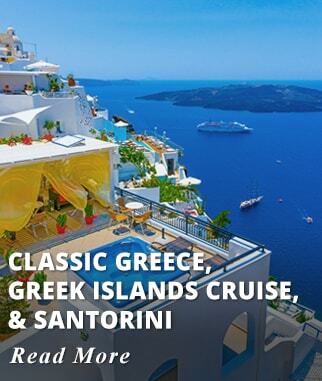 Today enjoy a Cruise to the Islands of Hydra, Poros and Aegina. 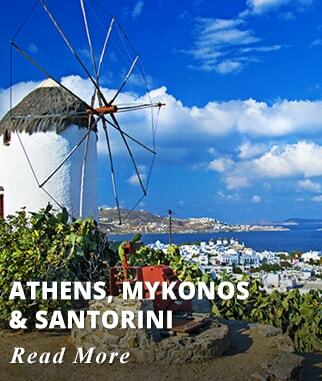 In the morning we take you by bus, from Athens to Piraeus for your embarkation to the cruise boat. 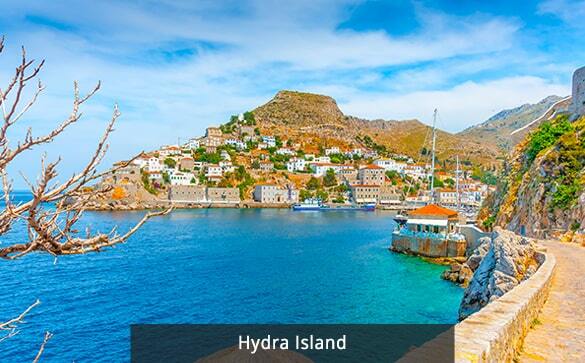 First stop is the Island of Hydra, a very unique Island where the only transportation allowed is boat or donkey's. Free time to walk or swim. 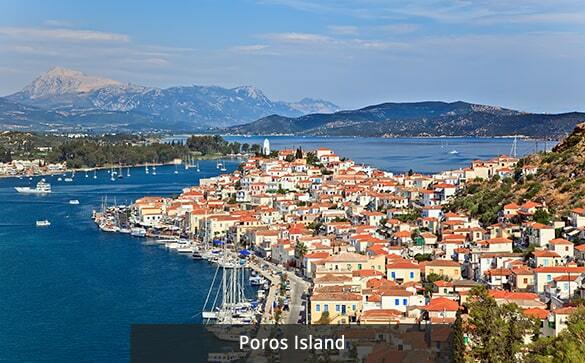 Next is Poros, time at leisure for about 60 minutes to enjoy the views of this Picturesque Town. 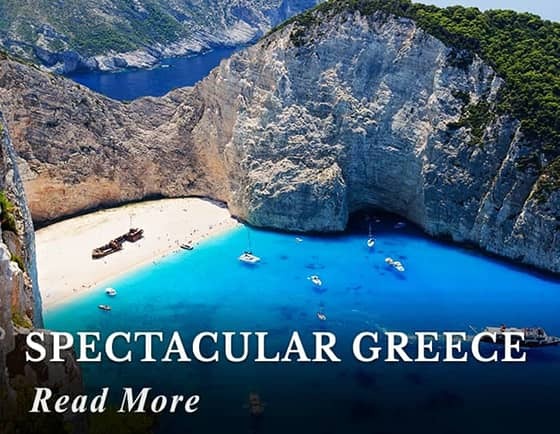 Last Port of call the Island of Aegina, wander thru the narrow streets of this beautiful Town or perhaps join an optional tour to visit the Ancient Temple of Athena Aphaia. Return to Athens by late afternoon. 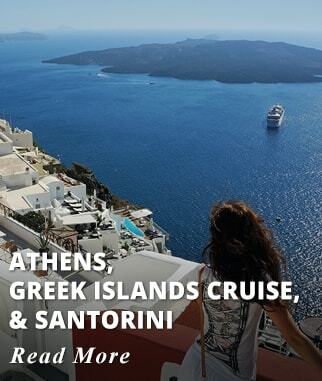 Activities included today: Day Cruise visiting the Islands of hydra, Poros and Aegina. 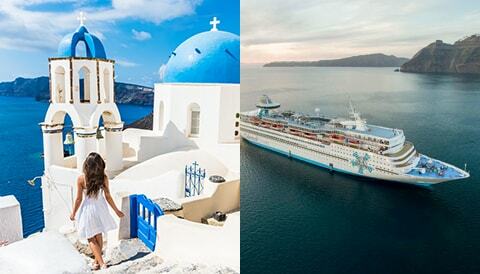 Extend your Holiday for three nights to visit the Island of Santorini. 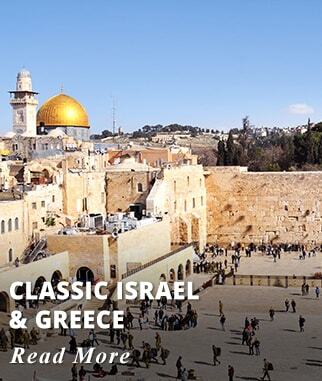 Famous for its breathtaking views and unique architecture. Price available upon request. 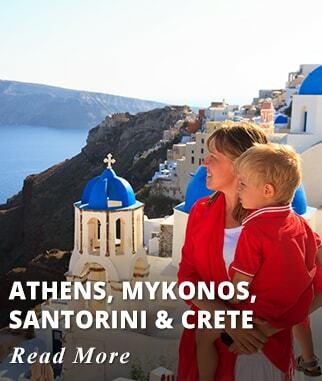 Extend your Holiday for three nights to visit the Island of Crete. 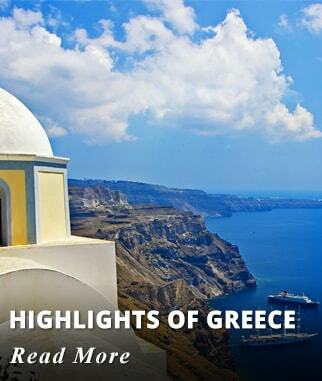 The largest of the Greek Islands, explore its ancient treasures and beaches. Price available upon request. 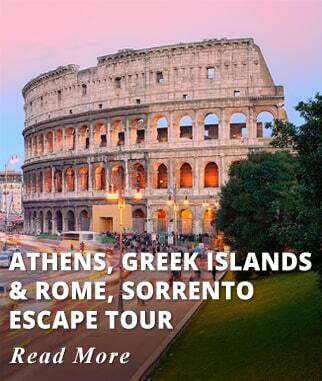 Four nights of 4* accommodations in Athens. 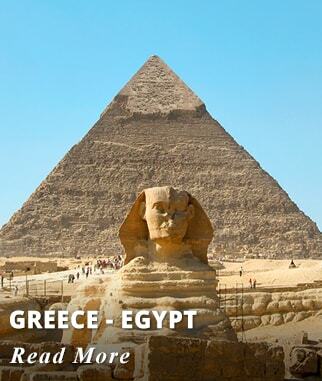 One night 4* accommodation in Olympia. 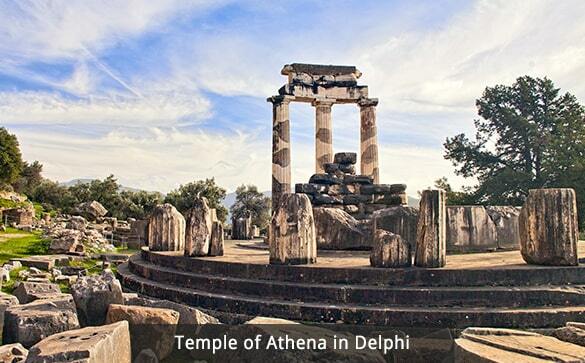 One night 4* accommodation in Delphi. One night 4* accommodation in Kalambaka (Meteora). 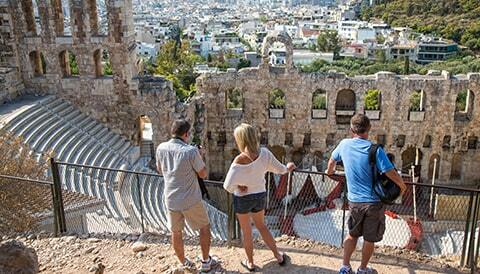 Half day Athens sightseeing Guided Tour. Brief stop by the Corinth Canal. 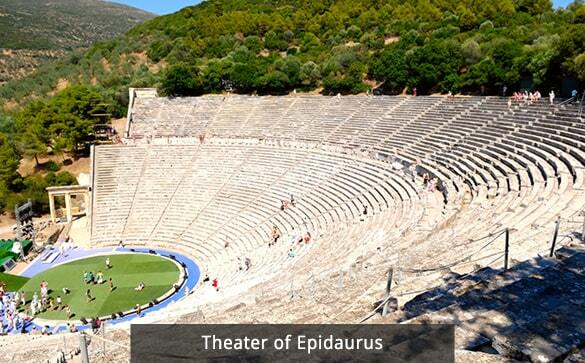 Visit the ancient Theatre of Epidaurus. Brief stop by the Town of Nafplion. 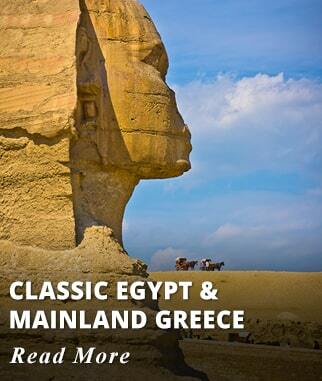 Visit the archeological site of Mycenae/Agammemnon. 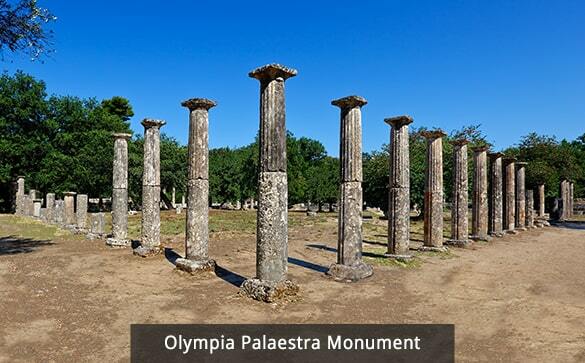 Visit the archeological site of Olympia. 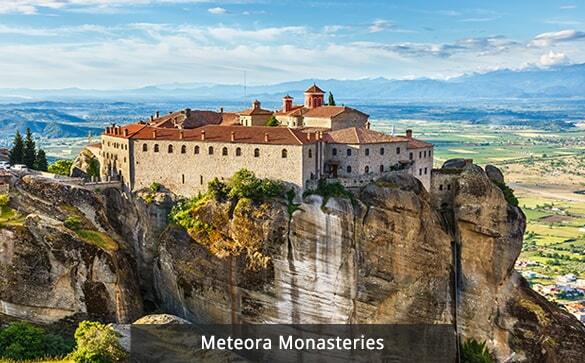 Visit the impressive Monasteries of Meteora. 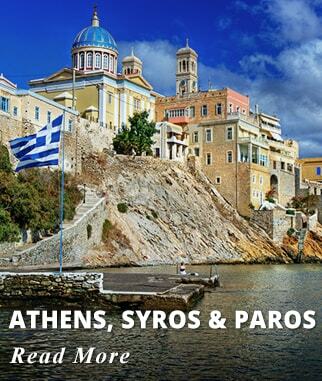 Day Cruise to the Islands of Hydra, Poros and Aegina. Lunch aboard your Day Cruise. Transportation for all sightseeing excursions by Seat in Coach Tour Bus. Travel between Cities by Seat in Coach Tour Bus. All taxes. Except for Hotel Room Tax to be paid locally. 5-star hotels: 4 € per room, per night. 4-star hotels: 3 € per room, per night. 3-star and 2-star hotels: 1.50 € per room, per night.